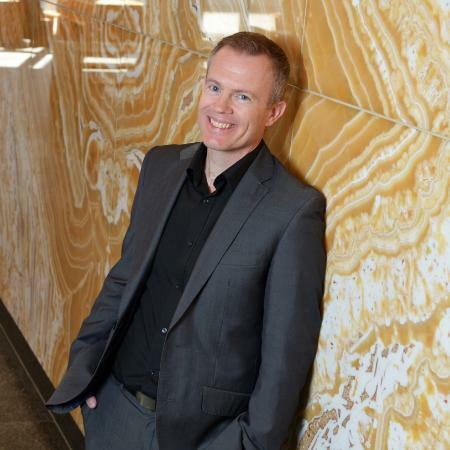 In this guest post, Bryan Hall (pictured below), Neustar’s senior director for Australia, discusses how to create actionable insights and convert more customers through data-driven marketing. As marketers face growing pressure from the c-suite for more accountability and demonstrable results, data and analytics now underpins all key marketing functions. From understanding how to find and reach customers to determining the effectiveness of media spend, message/channel optimisation and analysing consumer behaviour, the adoption of data-driven marketing is now widespread. However, a recent report titled Global Review of Data-Driven Marketing and Advertising by the Global Alliance of Data Driven Marketing Associations (GDMA) and Winterberry Group found that 90 per cent of global organisations still only use data driven marketing for maintaining customer and prospect databases – with resources usually aimed at providing better and more relevant offers and general customer communications. The masses of data now available can create endless possibilities for analysis, making it difficult for marketers to know just where to start when it comes to collating and categorising the data sets. But before you move onto data, you need to step back first of all and address three key points. Objectives: what are you specifically trying to achieve? Set some goals (short, medium and long-term). Personnel: do you have the right personnel that can actually mine/analyse the data to the required level (or have funds to hire/use external contractors)? Actions: ensure you are ready to implement changes – key stakeholder sign-off before you start. Business is moving so fast that if you delay, you will lose the opportunity. So what data do you have available? First, second and third-party? Does your business have a data lake or more a serious of data ponds? How are they connected and can you easily access the data? Are you reliant on external suppliers or agencies? In terms of key data you want to think about starting with, broadly, some of the most relevant types of data available to be explored include sales transaction data, CRM data, marketing execution data, market conditions data, supply chain data, and customer sentiment data. Your customer data is a potential gold mine for discovering credible insights for improved decision making and customer targeting. However, keeping that data up-to-date and accurate is critical to realising its potential. Moreover, according to Neustar research, 60 per cent of customer data becomes degraded after two years. This could be due to a move, change of a phone carrier, a new career opportunity, or just simply life changes. To ensure data validity, organisations can also employ third-party data providers to verify and append data such as contact information in customer records, including name, address and phone number. Having complete and accurate data is essential to shaping actionable customer insights. A complete picture of your consumer requires three key components — identification, enrichment, and consistency. Correctly identifying a consumer, especially if they are anonymous, is becoming increasingly difficult as the number of devices and channels continues to grow. Having an email or a cookie is no longer enough to connect the dots across a consumer’s fragmented journey. The quicker you can identify and segment a customer or prospect, the more personalised your offers will be, leading to purchase. The quality of your customer’s identity will inevitably determine the quality of the customer experience you deliver. The more you know about that consumer, the more personal and relevant your offers can become when they’re ready to buy. The best way to use data to identify and segment customers is to link authoritative consumer identifiers and demographic data with real-world activities and behavioural attributes. This includes purchase behaviour/buying patterns, attitudes/lifestyles and brand preferences etc. Data can also be segmented to include demographic, psychographic, behavioural and geolocation drivers. Moreover, segmentation should be predictive rather than static, based on real-time data and reliable propensity scores. By tying demographic and behavioural data and other consumer identifiers together, organisations can build a more accurate profile of individual customers and create more definitive scores to evaluate lead generation efforts and accurately measure campaign performance. Today’s most innovative marketers understand that data analytics can help their organisations make better decisions about how and where to invest their marketing dollars most effectively. However, careful consideration of how you utilise it is essential to a successful implementation. With all the data available, it is very easy to burn time and money on areas that are not going to significantly enhance the business. But with a planned path in place, data can be used to deliver deep customer insights that turn into actions that build relationships and convert sales opportunities.